The EMSB’s B.A.S.E. Daycare Program and Spiritual Community Animation Service were honoured with the 2017 National Play it Fair! Award from Equitas, the International Centre for Human Rights Education. Every year, Equitas acknowledges the contribution a Canadian organization, school or municipality has made towards promoting the advancement of human rights education. The recipients of the award are chosen around National Child Day in November, but the award ceremony was held on January 29, 2018 at Vincent Massey Collegiate (VMC). B.A.S.E. Daycare and the Spiritual Animation Service were selected for their Supporting Children as Leaders Through Play it Fair! initiative. The program began in 2015 and has trained High School students from Vincent Massey Collegiate to run 30-week Play it Fair! (PIF) activities in B.A.S.E. Daycares. The VMC students spend half the year facilitating PIF games and the second half creating Community Action Projects (CAPs) with the daycare students. At the award ceremony on January 29, representatives from Equitas and TD Bank presented the award to Jennifer DeFreitas, B.A.S.E. Daycare Project Development Officer, and Rocco Speranza, Spiritual Animator. Those in attendance included 40 Grade 3 and 4 B.A.S.E. 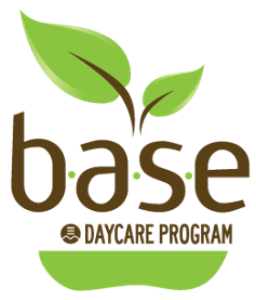 Daycare students from Gerald McShane and Michelangelo International, B.A.S.E. staff from those two schools as well as General Vanier, B.A.S.E. Head Office staff, Principals from General Vanier, Gerald McShane, and VMC, Former VMC Principal and now Interim Regional Director, East Sector, John Pevec, Spiritual Animation Coordinator, Frank Lofeodo, and participating Secondary 4 VMC students. After a lunch served by VMC Cafeteria services, VMC students played PIF games with B.A.S.E. students before the presentation of the award began, which included a few heart felt speeches, a power point presentation of photos from all three years of the program and a demonstration of students participating in a Play it Fair! discussion that usually follows playing a PIF game.